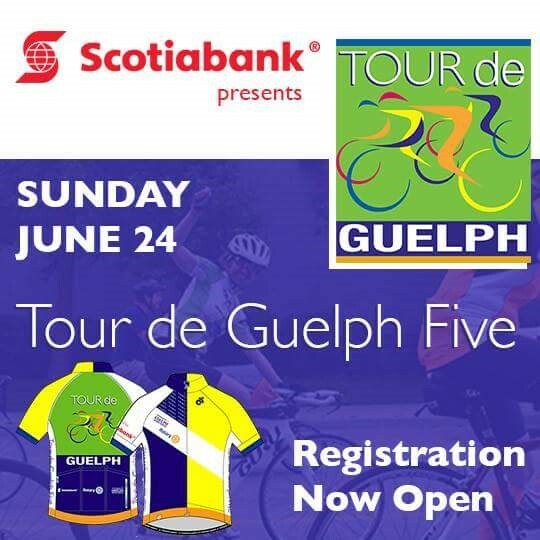 5th ANNUAL TOUR DE GUELPH - JUST OVER 4 WEEKS AWAY! Time flies when you're having fun! We can hardly believe Tour de Guelph is now just over 4 weeks away! We've been having so much fun planning for this year's ride. It's going to be our biggest and best ride yet and we want you there with us! The 5th annual event has an ambitious goal of $125,000. We’re pleased to announce that there is already almost $50,000 raised – that’s 40% of the goal. You can go to the www.tourdeguelph.ca website and make a donation directly, or you can sponsor one of the many teams that have already registered. And – cool new feature for 2018 – when you make a donation online you have the opportunity of personalizing a Tour de Guelph e-card and sending it to up to 100 email addresses. And of course you get your tax receipt emailed to you right away as well. All proceeds of Tour de Guelph Five will help fund a new CT Scanner for Guelph General Hospital. Many other organizations will also benefit through the Rotary Clubs of Guelph South and Guelph Trillium. Ride-for-the-Jersey: When you agree to raise a minimum of $300, you'll receive an exclusive Tour de Guelph Five cycling jersey valued at $75 for free! On the day after the event, if you have not met this minimum fundraising goal, your credit card will be charged for the balance. For example, if you raised $220, your card will be charged $80. Note that you can set a higher fundraising goal to try to win one of the amazing top fundraiser prizes with no obligation to meet your higher goal. As long as you reach the $300 minimum, you will not be charged. You also have the option of purchasing additional jerseys when you register. Free-wheeler: As a Free-wheeler, you decide whether or not you wish to fundraise. If you choose to fundraise, you set your own goal with no requirement to meeting a minimum fundraising amount and no obligation to meet your goal. You may still qualify for top fundraiser prizes and you may purchase a jersey for $100.00 – you'll get the jersey and a $25 charitable tax receipt. Note that distances are not exact, they may vary by a few kilometers. Detailed route maps will be available on our website in June. Thanks for visiting our website....come again soon!